↑USS Unadilla. Engraving published in "Harper's Weekly", July-December 1861 volume. 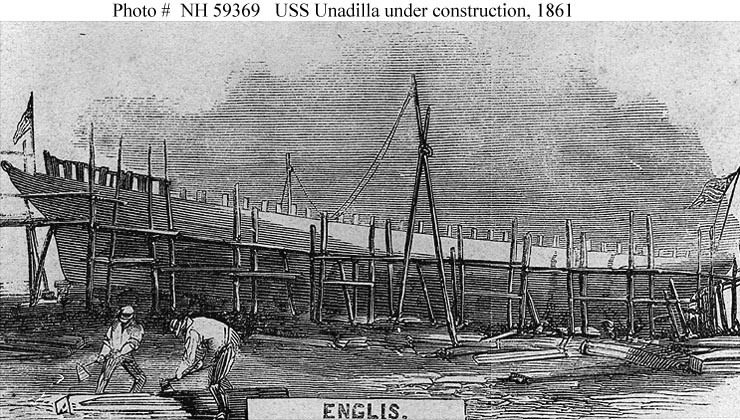 It depicts Unadilla under construction at the John Englis shipyard, New York, shortly before her launching on 17 August 1861. U.S. Naval Historical Center Photograph.